The National Association of Convenience Stores (NACS) show 2017 was held October 17-20 at McCormick Place in Chicago. This show is the most comprehensive representation of products and services for the convenience and fuel retailing industry. Retailers come to the NACS show to discover proven ideas and strategies that enable them to increase sales, attract new customers, build their brands, and improve their bottom line. Suppliers exhibit at the show to establish a presence in the convenience channel, obtain sales leads, increase product exposure, and introduce new products. More than 23,000 people attended the show. Electrolux Professional joined forces with the newest brand in the Electrolux family, Grindmaster-Cecilware, to present their products at NACS 2017. Grindmaster is a global manufacturer of hot, cold and frozen beverage dispensing equipment as well as a complementary foodservice equipment line. At the show, Grindmaster presented its latest coffee grinders, brewers, hot tea urns, juice machines, and more, while Electrolux featured its hot new product, SpeeDelight, in a live demo station to showcase its unique abilities that are a perfect match for the convenience retail industry. Executive Chef Corey Siegel prepared a variety of menu items using the SpeeDelight including breakfast sandwiches, cinnamon rolls, pizza, chicken parm sandwiches and hot dogs. Booth attendees commented that cooking multiple hot dogs at one time using the SpeeDelight was appealing compared to the traditional rollers used for heating them. Trinity Forest Golf Club in Dallas, TX, a prestigious golf course and country club, recently completed a powerhouse combination kitchen and laundry equipment installation. 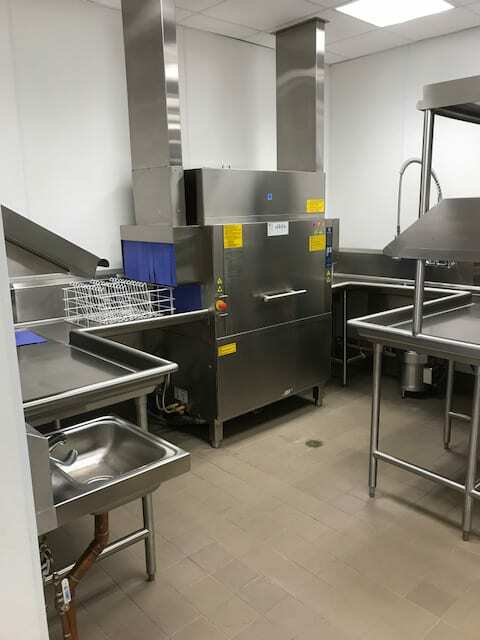 Electrolux Professional worked side-by-side with Chrane Foodservice Solutions and Pasco Foodservice Equipment and Supplies to complete the project by providing the latest and most efficient foodservice and commercial laundry equipment. In addition, Electrolux Professional offered to manage all the commercial laundry design work for Pasco and supported them throughout building modifications and equipment specifications. 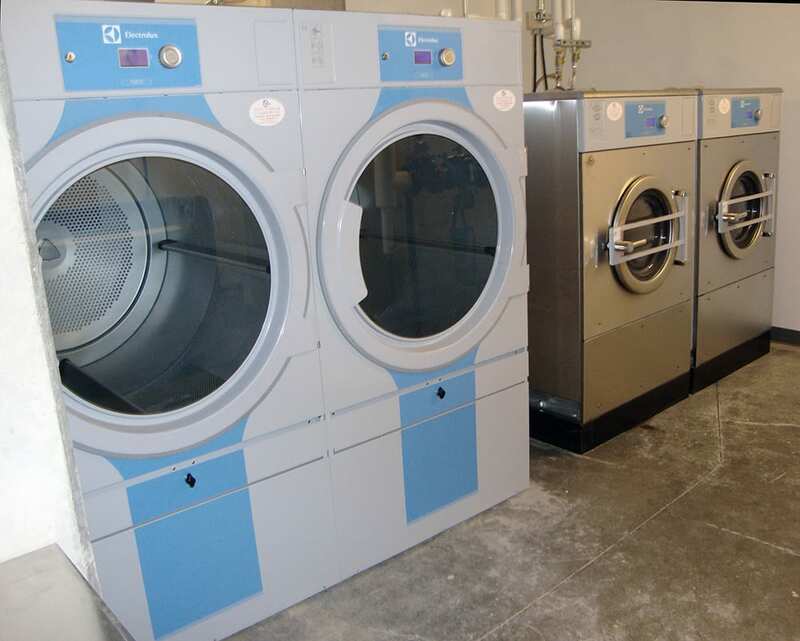 To complete the process, a local Laundrylux dealer was introduced to Pasco in order to install the laundry equipment. Tim Braun with Chrane Foodservice Solutions managed the installation with the help of Bill Hollon at Pasco. 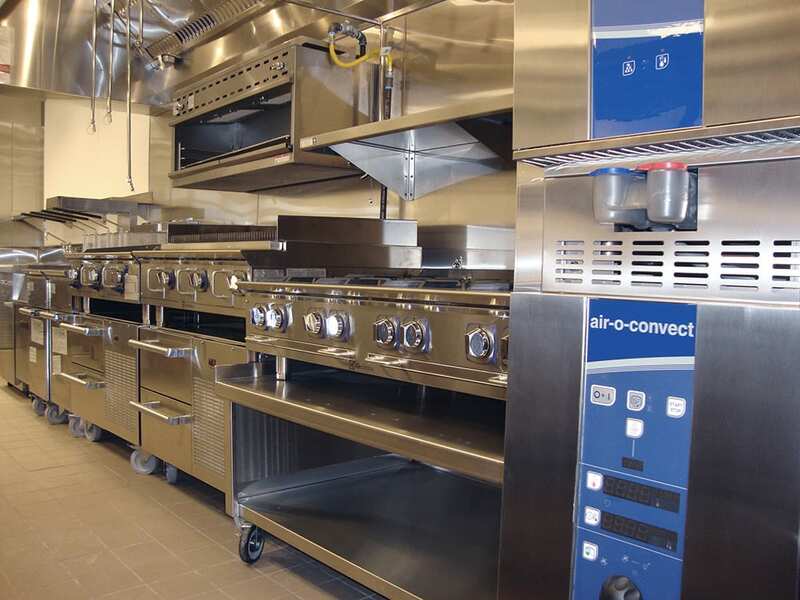 To improve kitchen workflow, EMPower Restaurant Range equipment was installed including two gas fryers, 36-inch smooth top griddle, 8-burner open range top, 36-inch charbroiler and two dual temperature refrigerator/freezer bases. A double stacked air-o-convect manual combi oven was placed next to the EMPower range while a Multi Green combination food processor/vegetable cutter was included for fast food prep. Also, new dishwashing equipment including the Electrolux rack type dishwasher and WT30 under counter dishwasher was brought in to help expedite heavy workloads for large events held at the clubhouse. 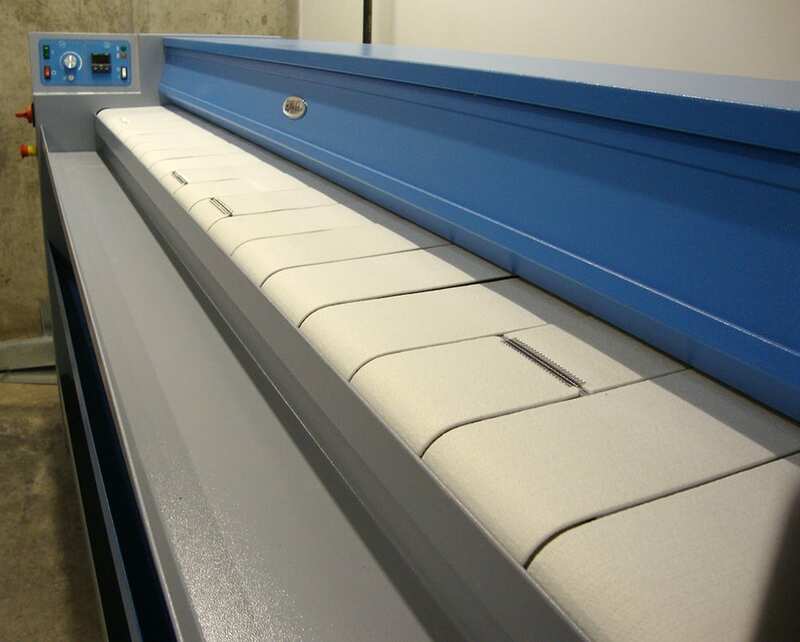 Commercial laundry equipment installed included W5280X washers (QTY 2), T5675 G tumble dryers (QTY 2) and a IC433220G ironer. Electrolux Professional Executive Chef Corey Siegel and Territory Sales Manager Isaac Kim along with Richard Larsen with Professional Reps held live foodservice equipment demos during the last week of October at Bintz Restaurant Supply. 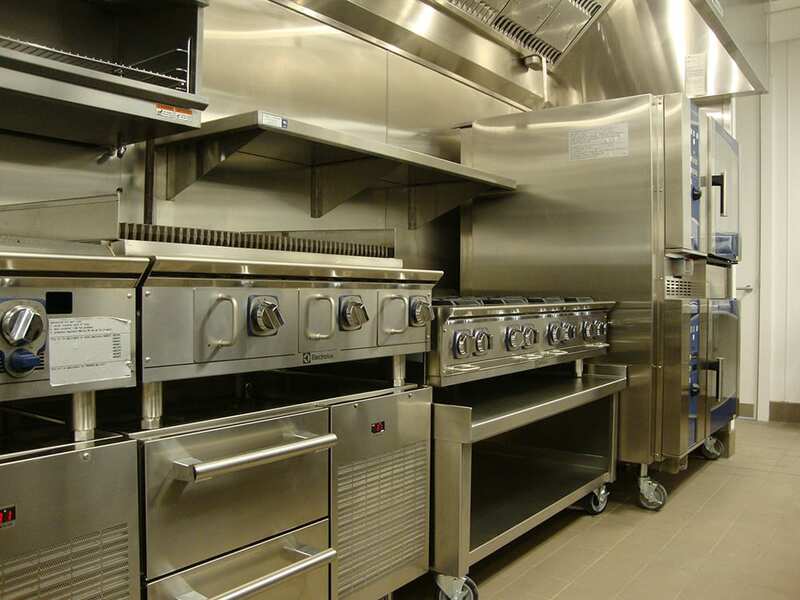 Located in Salt Lake City, Utah, Bintz Restaurant Supply is the area’s commercial and institutional foodservice equipment dealer and provides consultation, evaluation, planning, design, delivery and installation services. Chef Corey used the 45-gallon pressure braising pan, Tower of Power (stacked air-o-steam Touchline combi oven on top of air-o-chill blast chiller) and TRS vegetable cutter to prepare menu items for the attending customers at the demo. Customers in attendance included Associated Foods, Even Stevens, Deer Valley Resorts and Chuck-A-Rama. 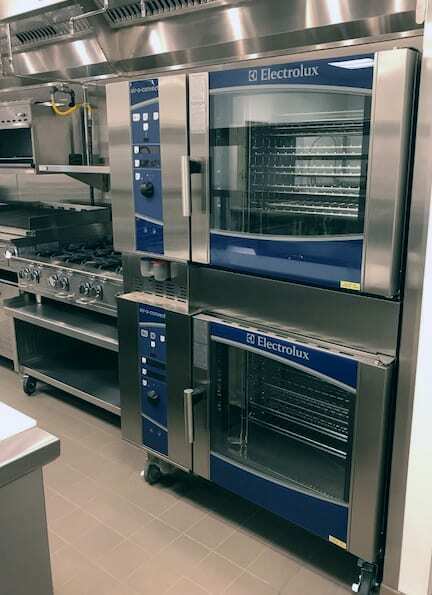 Deer Valley Resorts just purchased several Electrolux combi ovens for their kitchen. TriMark United East located in South Attleboro, MA is the largest distributor in the Northeast offering commercial kitchen equipment and supplies to local restaurants and national chains. TriMark offers a range of services to their customers including design-build, installation, inventory management and fulfillment of all foodservice equipment and supply needs. In late October, TriMark hosted an event for territory rep groups and manufacturers at the Marriott Downtown Providence, RI (about 15-20 minutes from the TriMark United East offices). The event allowed rep groups and manufacturers to promote and encourage interaction between its team and suppliers. It also provided an opportunity for rep groups and manufacturers to get face time, educate and speak on their products different features and benefits. In addition, leads are generated – making the event a success for everyone taking part in it. Roughly 50 people attended made up of a mix of TriMark street sales, national sales, purchasing and customer care associates. Acosta Cornerstone (territory sales rep for New England) and Electrolux Professional attended the event featuring SpeeDelight, TRS24 vegetable cutter, TRK55 combination vegetable cutter/food processor and a 450 watt Bermixer immersion blender. Product education presentations were given to the attendees with a focus on product features and best menu items to produce using the equipment.